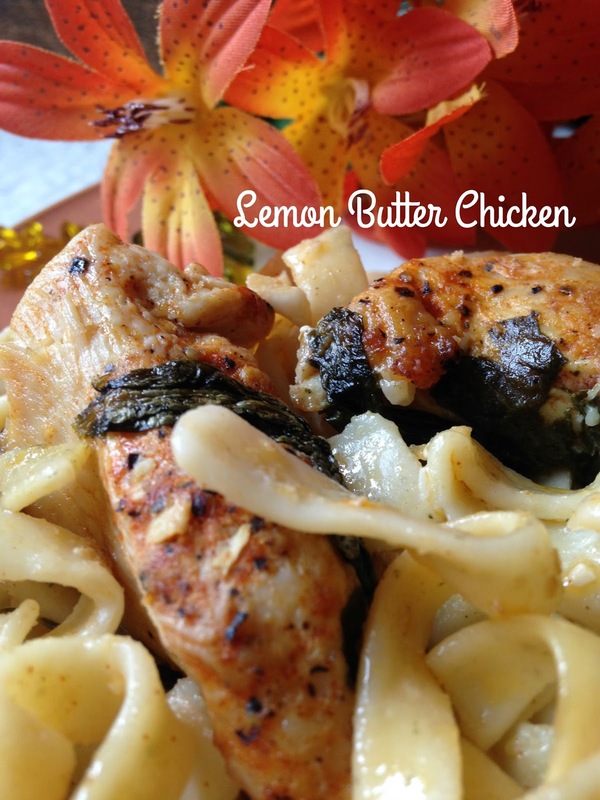 Lemon Butter Chicken is made with boneless, skinless chicken breasts that have been rubbed with smokey paprika and lemon pepper seasoning. 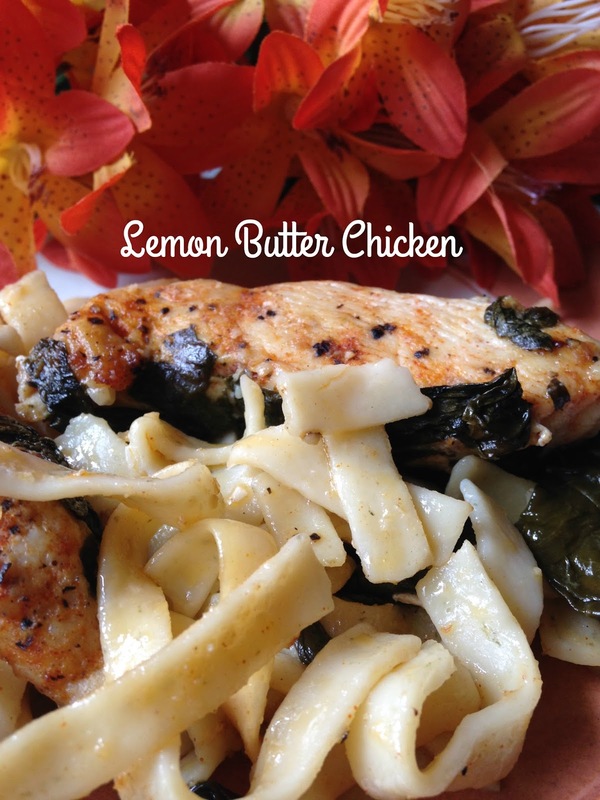 Fresh baby spinach, lemon juice and heavy cream make this dish simply delightful. Everything is then tossed together with garlic and parsley fettuccine noodles. Delicious has never tasted so good! 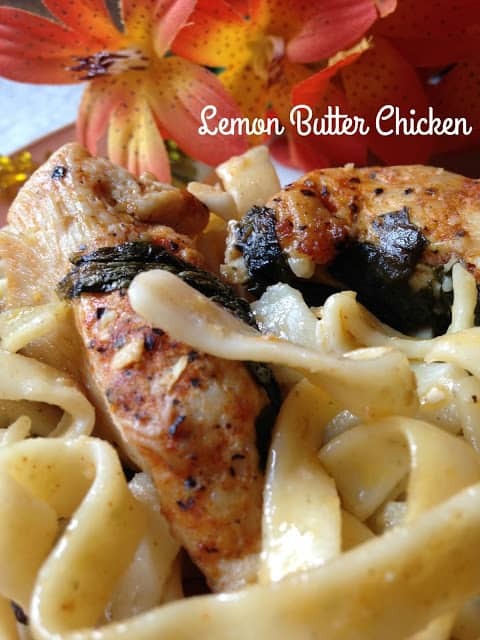 This recipe is fast, easy and delicious. The perfect meal for those busy week-day nights when you want a meal that is fast and easy to prepare but also needs to be delicious and comforting. 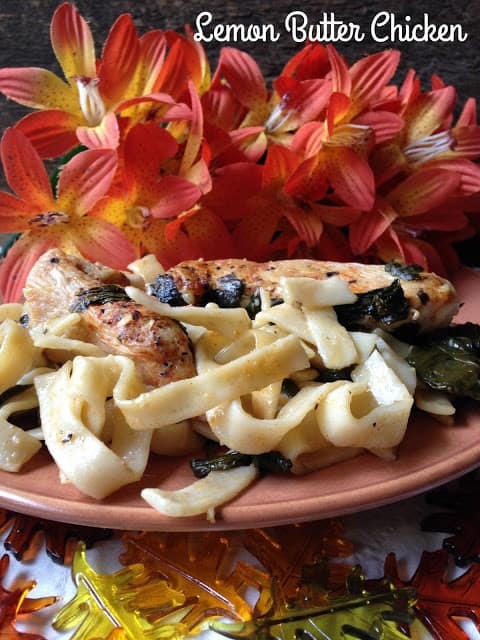 This simple dish is just what your looking for. Lemon Butter Chicken is just as delicious the next day, so if there are any left-overs, you can have them for lunch. Season chicken breasts with smokey paprika and lemon-pepper seasoning. Set aside. Add chicken and garlic, cook chicken on both sides until golden brown, about 4 minutes per side and garlic is fragrant. Stir in chicken broth, heavy cream, Parmesan cheese, lemon juice and lemon-pepper seasoning. Bring to a boil and reduce heat. Stir in the spinach and simmer until the spinach has wilted and the sauce has slightly thickened. Remove from heat and set aside. Transfer chicken mixture into a 13 x 9-inch baking dish. Toss in cooked noodles. Place baking dish in the oven and bake for about 30 to 40 minutes or until bubbly and thickened.